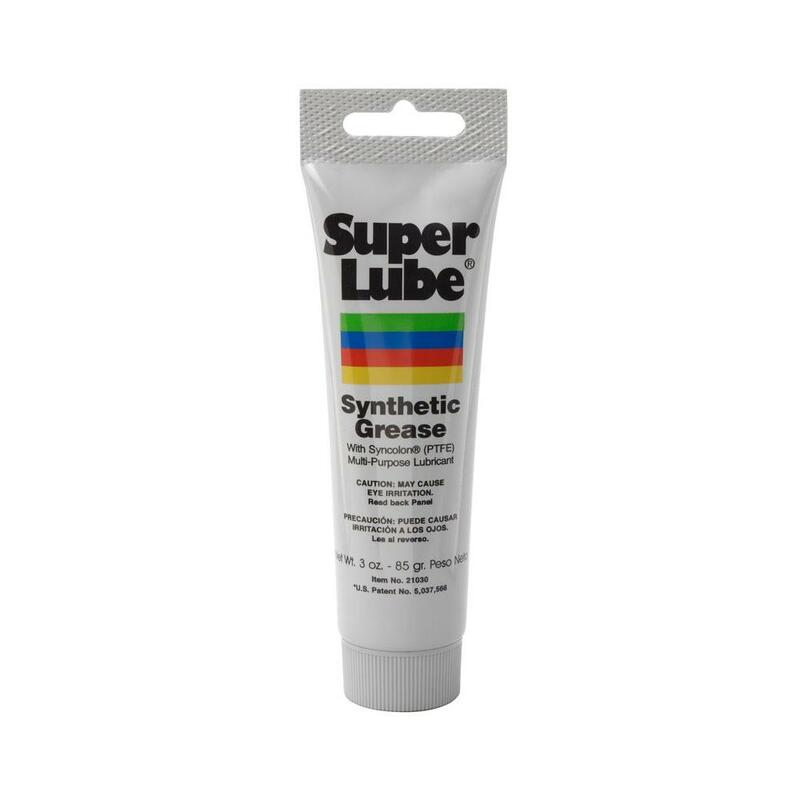 Recommended for use with all motor hardware, Super Lube® grease is a patented, multi-purpose synthetic lubricant, containing Syncolon® (PTFE) particles held in suspension. Super Lube® Grease is an exceptionally pure lubricant because it is synthetic. This gives Super Lube® very stable and predictable chemical properties. Petroleum-based machine and gear oils are made from refined crude oil and contain impurities, which cannot be removed. These impurities interfere with film strength and wear protection. They also form deposits at high temperatures and solidify at low temperatures. The synthetic properties of Super Lube® Multipurpose Greases and Oils provide predictable viscosity and reliable film strength to reduce wear between moving parts. The addition of Syncolon® (PTFE) adds additional protection in the form of a long lasting solid lubricant. Aerosol lubricants such as WD-40 and '4-way' sprays do not have the anti-friction properties that Super Lube greases has. Squeaks are only temporarily stopped because the spray wets the surface and then quickly evaporates. These sprays are good for releasing frozen nuts and bolts, but not for lubricating.